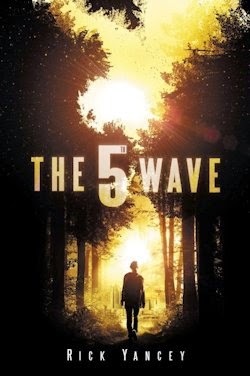 Following the first phases of the invasion revealed in Rick Yancey's breakthrough book, the world of The 5th Wave "is a clock winding down," (p.1) with each tick of which, and every tock, what little hope there is left is lost. No one knows exactly how long the last remnants of humanity have, but they're looking at a matter of months, at most... unless someone, somewhere, can conceive of a means of driving the aliens away—aliens who, as the big bad of the series says, have nowhere else to go. The Infinite Sea picks up not long after The 5th Wave's masterful finale. "The mechanised world had died. Earthquakes and tsunamis had obliterated the coasts. Plague had consumed billions." (p.ii) There are some survivors, but amongst them... others. Agents of the enemy. Agents like Cassie's crush, Evan Walker, who, before sacrificing himself to save her, admitted that he was one of Them. Short answer: no. There's more. There are superpowered Silencers, insane mind games, and innocent children with bombs in their bellies, as we witness at the start of this insidious sequel. "First they taught us not to trust them. [...] Then they taught us not to trust each other. Now they're teaching us we can't even trust ourselves." 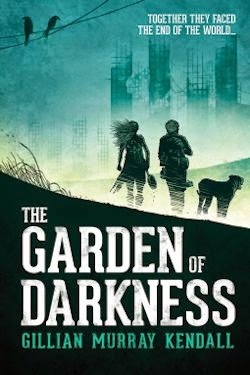 (p.206) Thus there's "nowhere to run, nowhere to hide, and the idea of fighting is ludicrous," (p.10) but Cassie and the kids she's fallen in with have to do something, don't they? You'd think. Unfortunately, The Infinite Sea starts slow, picks up a little in the middle, then changes gears completely. Cassie's crew spend altogether too long getting their heads together in an old hotel they've taken shelter in. They're short on supplies, and it's only a matter of time before Silencers find them, so they talk about leaving a lot. Invariably, I'm afraid, something or other stops them—stops them and the plot from properly kicking off. The pace, accordingly, is all over the place. Several false starts in, stuff does start to happen. A certain dead dude is resurrected; a new recruit inspires paranoia in the impatient party; whilst one of said survivors, sick and tired of waiting for the hammer to fall, strikes out on her own. This is Ringer, and she's the reason to read The Infinite Sea. Initially, she's cold and calculating, brutal and borderline inhuman... but hey, you get what you pay for. "When you crush the humanity out of humans, you're left with humans without humanity," (p.136) and at this stage in the game, Ringer is exactly the kind of character required to contend with the enemy. In that sense she's completely credible—as is Cassie, in Yancey's hands. Her endless indecision just isn't particularly interesting. 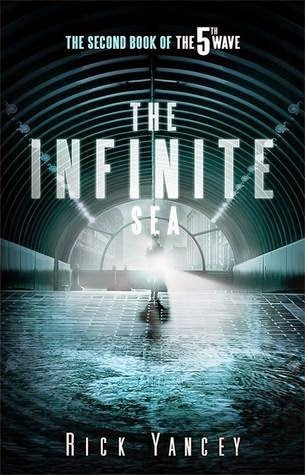 That The Infinite Sea both begins and ends with Ringer rather than the series' previous protagonist demonstrates that the author is aware of all that Cassie's half of the narrative lacks—action, character development and momentum, among other things. For all his efforts, however, these essentially unnecessary sections still stand, and twinned with the terror and tension—not to mention the mystery—of Ringer's markedly more satisfying story, they feel... flat. Not tedious, no, but too close to routine for me to recommend this sequel unreservedly. I would recommend it, however. Largely because of the last act, which is by far the book's best part. Alas, we can't really talk about that. Suffice to say it sets the stage smartly for the finale of the entire trilogy, suggesting that the alien invasion around which it's been arranged isn't at all what we thought it was. 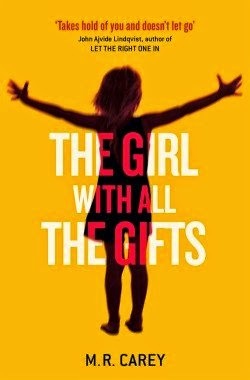 Be that as it may, between character and narrative, action and its absence, real world relationships and typical dystopian romance, The 5th Wave struck a substantially better balance than this book. It was so satisfying in itself that I'd have been content for the story to stop there. I won't go so far as to say I wish it had—that depends on what comes in the conclusion—but The Infinite Sea isn't a patch on the first part of Yancey's ambitious narrative. It's a middling middle after a brilliant beginning.